Oceanview at Surfside-Where the Fun is up and Stress is Down! 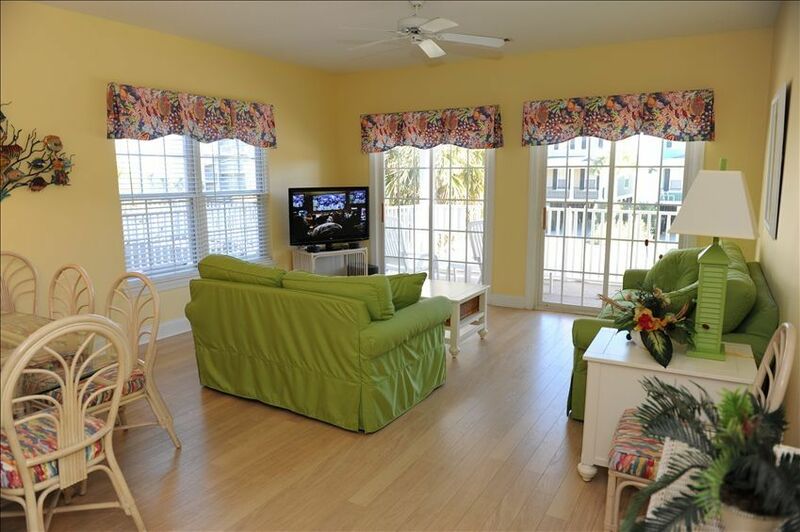 Surfside Beach ~ 4BR, 3BA townhome with ocean views, only steps from the beach! Enjoy the sounds, smells and sights of the beach from the living room and master bedroom balconies. Relax by the pool or cross the street to the beach! Take a leisurely stroll to the Surfside Pier, Wild Water & Wheels Water Park, playground or local restaurants. Conveniently located to all the Grand Strand has to offer including endless shopping opportunities, unlimited dining experiences, world class golf courses, numerous live theatres, Broadway at the Beach, Hard Rock Theme Park and much, much more! Everything to keep you busy yet a wonderful place to simply relax! Surfside, known as "The Family Beach", offers it all! Discounted rates during the months of September through April - perfect for Snowbirds or those looking for a relaxing getaway. We offer special monthly or longer rental rates. All rental rates include utilities, taxes, departure cleaning and WIFI INTERNET ACCESS! Accommodates 10. Parking underneath townhome. Townhome is 1 of only 4 on property. Non-smoking and pet free!! Just returned home from Surfside Beach, South Carolina where we had a wonderful time. Everything was well maintained. Carpets could use a good cleaning. Property worked well for our family. Bedroom with double bed is a little small. We had an issue with the downstairs air conditioner not cooling properly one day but Trace responded immediately and tech was there and repaired that same day. Very convenient to beach, shopping and anything we wanted to do. Will definitely plan to stay here again next year. Loved the layout of the house and the location! A short walk across the street to the beach! Quiet area while still close to many things to do. 4 bedrooms and 3 bathrooms was exactly what we needed. I would definitely go back again! Second trip for our family and we love the house! The house is very clean and is a few steps away from the beach. We loved our stay and will go again! The linen and cleaning services being included with the rental is a big plus for me. We had a great time making memories with our family. I am already looking forward to next year! A confirmation email will be sent when the deposit is received and one when the final payment has been made. The last email will have all the check-in information and details. Price includes tax and cleaning fees.